Hitting theaters in two months and showing that there’s plenty to get excited about with the return of one of the most beloved Sci-Fi Action Movie franchises of all time, LucasFilm and Disney have released a brand new poster for J.J. Abrams’ upcoming entry to the Star Wars film series with “Star Wars: The Force Awakens”! 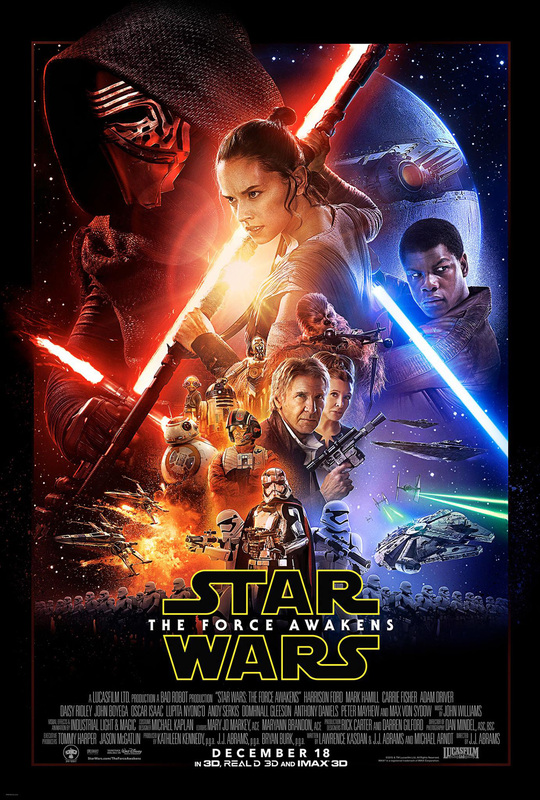 While it looks like a Drew Struzan work, the poster was actually designed by Bryan Morton (Via Making Star Wars), who happens to be a Star Wars fan and cosplayer as Luke Skywalker, the poster showcases most of the cast and characters that play a part in this story – with the new guard like Rey, Finn, BB-8 and Poe Dameron prominently featured along with new cross-lightsaber wielding warrior Kylo Ren. The original heroes from the “Original Trilogy” are also present, with Han Solo, Princess Leia, Chewbacca, C-3PO, and R2-D2 making a grand comeback. Ominously absent is Luke Skywalker, who may be intentionally left out for plot purposes. Also, the First Order Stormtroopers along with Captain Phasma can be seen, with a new weapon in the background that looks more dangerous than the Death Star. A new trailer for “The Force Awakens” is scheduled to debut on Monday Night during ESPN’s Monday Night Football. Stay tuned for that as UnGeek will be sure to post about it. 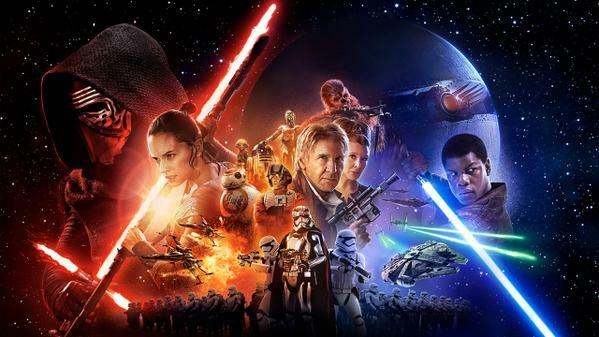 Star Wars: The Force Awakens will be released in theaters on December 18. Next articleWATCH: The new Star Wars: The Force Awakens Theatrical Trailer has been unleashed!